As promised, Glitterati Tours of Hollywood and Beverly Hills will continue to post as much as possible regarding things to do this Halloween season around L.A.
As mentioned in previous posts, you’ve got the huge attractions like Knott’s Scary Farm, and Universal Studios Halloween Horror Nights, but there’s something very unique to our city that’s tough to find anywhere else…a massive celebration in a legendary cemetery. 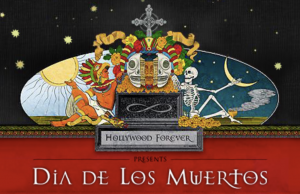 The 19th Annual L.A. Dia de los Muertos 2018 (Day of the Dead Festival) takes place once again inside Hollywood Forever Cemetery. This year’s theme is Coatlicue “Mother of the Gods.” The event takes place on Saturday, October 27th, 2018, from noon until midnight. General admission is $25 per person. Pre-purchase tickets to avoid lines at the venue. 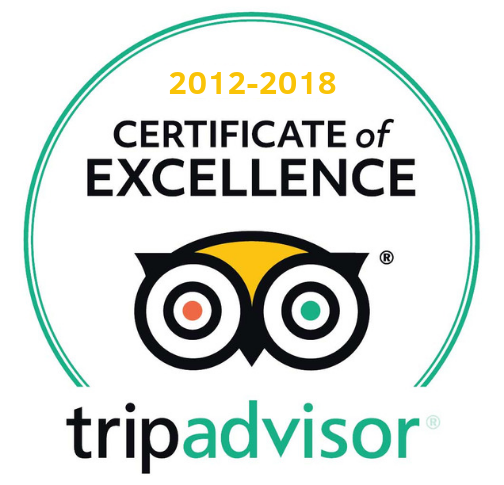 Kids 8 years and younger, and seniors 65 and over have free admission till 4PM. Dia de los Muertos attire is strongly encouraged. This event continues to grow in size year after year, so get there early, and carpool or rideshare if possible. Parking is available at several near-by structures, but again, traffic will be a nightmare once the sun starts to set. As always, The Hollywood Dia de Los Muertos event will have 100+ elaborate alters to remember the dead, great Mexican cuisine, and Day of the Dead arts and crafts for purchase. Regional dance groups, and dozens of musical performances on 4 different stages will keep guests fully entertained. This cemetery is amazing! Hollywood Forever Cemetery is not only where Hollywood legends are laid to rest (John Houston, Judy Garland, Mickey Rooney, Rudolph Valentino, Douglas Fairbanks, Mel Blanc, Cecile B. Demille, and many more) but it’s also a place to celebrate life. For more detailed information on parking, location, and event updates, see the L.A. Day of the Dead official website.